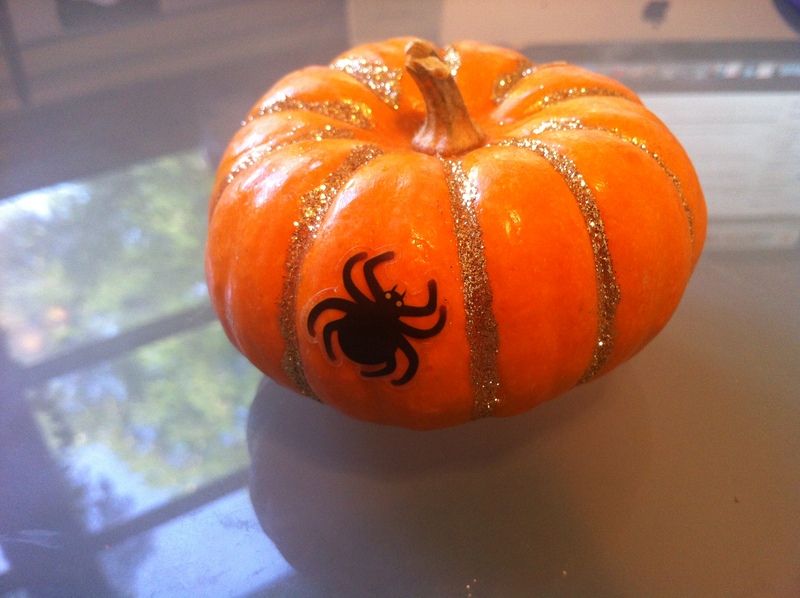 Just in time for Halloween, a craft is perfect for tweens (and siblings) because it is simple and involves one of their favorite supplies to work with – glitter glue. 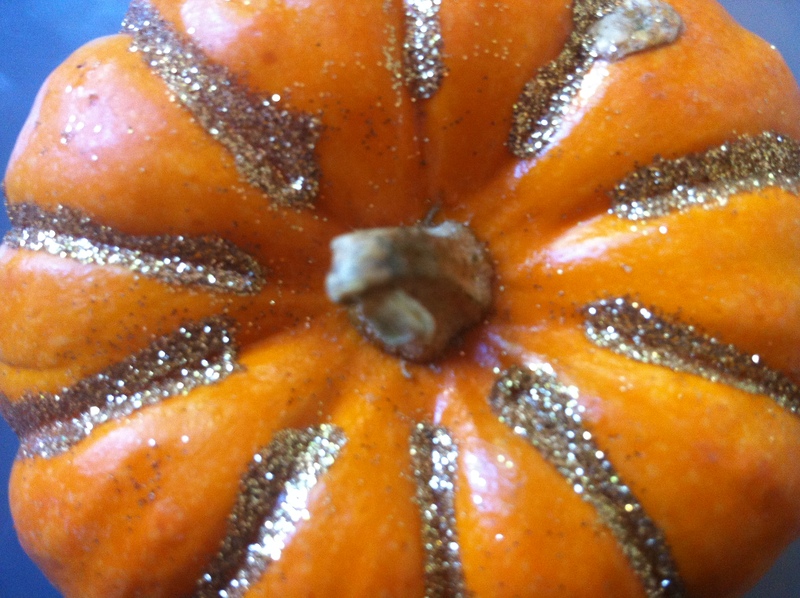 Squeeze the glitter glue from the stem down the crevices in the pumpkin. Let dry. Apply spider sticker. Special GRACIAS to Abuela Mima for developing this craft. This entry was posted in halloween, Ideas, Los Abuelos and tagged craft, Halloween, Tweens. Bookmark the permalink.